Retreats are accepting applications for 2019 in early November. Cancer is an enormous challenge. Sometimes, the best choice is to just get away from reality. Take some precious time for going inside yourself. It can help to have the support of other cancer patients who are also focused on whole-person healing. and each receives exactly what he or she needs to move forward. Breast Cancer Recovery Infinite Boundaries retreats for breast cancer survivors several times per year. These four-day wellness retreats involve discussion, creative arts, and low-impact physical activities (optional). Infinite Boundaries retreats are based on the belief that the journey to recovery and healing involves the whole woman, mind and body. Retreats are designed to help women find inner strength and experience the hope needed to live each day beyond the boundaries of breast cancer. Survivors have the opportunity to discuss the latest issues surrounding their breast cancer, gather information, experience and enjoy the company of new-found sisters in healing environments. Special care is taken in choosing scenic natural settings because we believe that healing can be found in nature. Specialty retreats include Women with Metastatic Breast Cancer and Solo Women Navigating Cancer Alone. Camps take place throughout Wisconsin and cost around $400, which includes the deposit, lodging, meals, and activities. Scholarships are available upon request. Camp Bravehearts offers women dealing with cancer a variety of weekend retreats — each focused on a different theme. Whether the camp’s theme is rafting, hiking, or being pampered, the exercise, crafts, wellness education, outdoor and social activities offered at every camp provide participants an opportunity to learn new skills, increase self-esteem and confidence, and address the risks and fears that women face during and after treatment. Camps are held in Pennsylvania and New York and cost around $100. Camp Good Days Women’s Wellness Program is a weekend camping experience for women ages 18+ who are dealing with any form of cancer and who have been diagnosed or relapsed within the past 10 years. Activities focus on wellness and may include therapeutic massage, yoga, meditation, reiki, manicures and a variety of recreational activities. 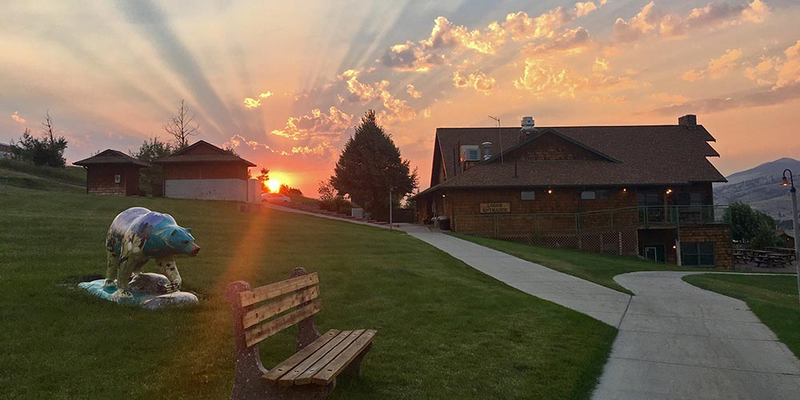 Camp Mak-A-Dream provides FREE four and five-day retreats for young adults and adults with cancer in Missoula, Montana. Two adult retreats include the Ovarian Cancer Survivors Retreat and the Women’s Cancer Retreat. 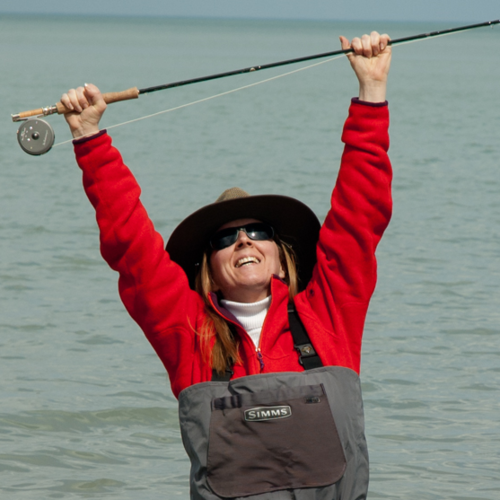 Casting For Recovery is a FREE residential fly fishing retreat for breast cancer survivors. The program is designed to allow women to participate at their own pace, to take time to care for themselves, to engage in self-exploration, while acquiring the mastery of new fun skills. There are multiple locations around the country. 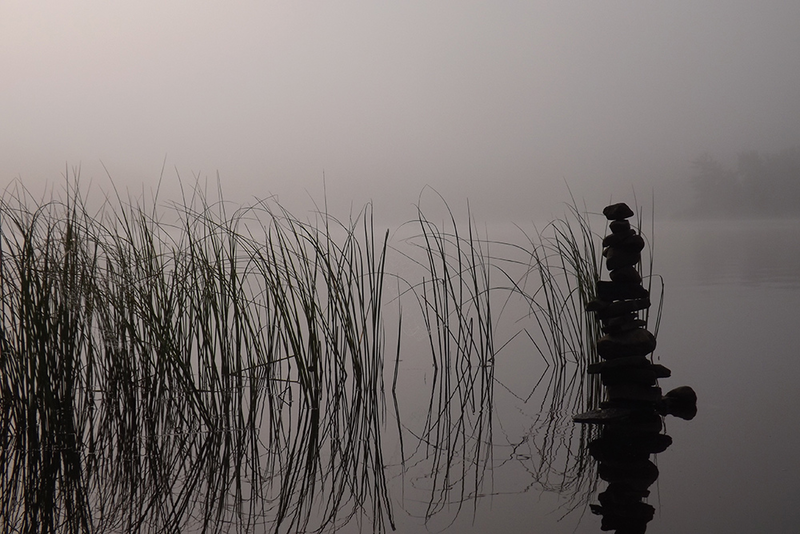 Creative Healing Connections offers an Arts and Healing Retreat for Women with Cancer or Chronic Illness at a historic lodge in the Adirondacks at Raquette Lake, NY. Participants explore various creative activities such as storytelling, songwriting, dreamwork and visual art as catalysts towards self-expression, awareness and reconnection. Each weekend camp costs around $300 and includes meals, accommodations, and activities. Scholarships are available. Harmony Hill offers general wellness and cancer-specific retreats in Olympic Peninsula, Washington. Retreats are three days long (one-day workshops are also offered). Camps are FREE and open to men and women survivors of any type of cancer and their loved ones. Women-only retreats are offered. We offer individuals affected by cancer time to reflect and explore the physical, emotional and spiritual challenges of their diagnosis. Through group sessions and activities such as yoga, meditation, poetry and art, our compassionate faculty provide self-care tools and practical resources to facilitate healing and wellbeing. Caregivers and companions are welcome. Thanks to generous donors, lodging, meals and curriculum are provided at no cost. Register early — space for retreats is limited and reservations fill quickly. Healing Odyssey offers several three-day retreats as well as one-day workshops in the Malibu Mountains of California for women cancer survivors. Activities include discussions, a ropes course, guided imagery, yoga, and more. Cost for three-day retreats is $300, with scholarships readily available. Image Reborn offers FREE renewal retreats for women with breast cancer. Retreats offer small group discussions, education, exercise, journaling, massage, and an opportunity to visit with healthcare professionals in a small group setting to discuss treatment, including conventional and integrative approaches. Park City, Utah. Mending in the Mountains is a weekend retreat for women cancer survivors at Lone Mountain Ranch in Big Sky, Montana. The camp’s mission is to assist survivors in rediscovering joy and hope in life; to offer tools for empowering them to meet the physical, emotional, and spiritual challenges of cancer recovery; and to provide nurturing support from other survivors dealing with similar life challenges. Women Beyond Cancer Adventure offers yoga and relaxation retreats throughout the country for women survivors of any type of cancer. Two Sisters Farm is a lovely 20 acre horse farm located in Aiken, SC. Its natural surroundings make for a perfect setting for you to find peace and have lots of fun while doing so. While there is no horseback riding, you will have the opportunity to work on the ground with the horses along with Julie Robins of The Aiken Horsemanship Academy. Whether you are new to horses and just love the beauty and greatness, or whether you have spent years around horses your experience may prove to be life changing. Spending time with other women who have been through the cancer journey in this relaxed, casual environment allows for interesting conversation, bonding, and support from fellow “survivors”.All weekend retreats are FREE. Camp Good Days and Special Times is dedicated to improving the quality of life for children, adults, and families whose lives have been touched by cancer and other life challenges. The camp provides weekend residential camping programs at a recreational facility located on the shores of Keuka Lake in Branchport, New York, as well as year-round recreational and support activities throughout New York. Offerings (all of which are FREE) include caregiver programs and programs for helping children and families cope with serious illness. Camp Mak-A-Dream provides FREE four and five-day retreats for young adults and adults with cancer in Missoula, Montana. Camp Mak-A-Dream empowers survivors and their families to live with and beyond cancer through life-changing experiences where they strengthen life skills, gain resilience and develop lasting relationships. Camp Soar is a weekend Supportive Oncology Retreat for men and women 18+ who are dealing with cancer from recent diagnosis to remission, and who have been diagnosed or have relapsed within the past 10 years, and their spouse/ significant other/ friend with activities that may include waterfront and aquatics, fishing, arts & crafts, and general wellness. Commonweal Cancer Help Program is a week-long retreat for people with cancer. Our goal is to help participants live better and, where possible, longer lives. CCHP addresses the unmet needs of people with cancer. These include finding balanced information on choices in healing, mainstream and complementary therapies; exploring emotional and spiritual dimensions of cancer; discovering that illness can sometimes lead to a richer and fuller life; and experiencing genuine community with others facing a cancer diagnosis. The Center is located in Bolinas, California. CCHP offers an integrated program of healing that includes daily group support sessions led by a psychotherapist, massage, yoga, meditation, deep relaxation, imagery work, symbolic learning through Sandtray, poetry, exploration of sacred space, and a gourmet vegetarian diet. Evening sessions led by Commonweal co-founder Michael Lerner explore choices in healing, mainstream therapies, integrative therapies, pain and suffering, and death and dying. Widely considered the premier program of its kind in the United States, CCHP draws participants from across the United States, Canada, and Europe. CCHP is for people at any stage in the cancer journey and their significant others. It provides an exceptionally high quality opportunity to explore the physical, mental, emotional, and spiritual dimensions of healing with cancer. The retreats are limited to eight or nine participants. CCHP works best for people who understand what the retreats are and believe they would benefit from participating. They also work best for people who are comfortable in small group settings and are curious about the healing process. CCHP is an educational program, not a treatment program. Participants must be under the care of a physician, able to care for themselves, able to participate in the daily program, and sufficiently medically stable to spend a week in a rural retreat setting. Most participants find that CCHP has a powerful and lasting positive effect on their lives. After more than 200 retreats in over three decades, we have learned that the program has profound effects on anxiety, fear, loneliness, helplessness and other conditions that often accompany cancer. Many participants come to CCHP with questions about next steps in treatment or in living with a serious cancer diagnosis. Participant evaluations often say that the program far exceeded their expectations. The Dear Jack Foundation provides impactful programming that directly benefits adolescents and young adults diagnosed with cancer in order to improve quality of life and create positive health outcomes from treatment to survivorship for patients and their families. Our Breathe Now program utilizes yoga, meditation, and breath work during pivotal stages of young adult cancer survivorship to heal the mind and body, and restore balance and peace post cancer. We offer a series of wellness retreats through our Breathe Now program for young adult survivors and their partners. Dear Jack Foundation’s Breathe Now wellness retreats bring together young adult survivors and their partners to help rediscover balance in their relationship after cancer. Open to young adult survivors who are approximately 1-3 years removed from their last date of treatment, this thoughtfully designed four-day program harnesses the transformative powers of yoga, meditation, and nature, with a focus on the three themes of identity, strength, and balance. Our Breathe Now wellness retreats are professionally guided and designed to help the couple renew, learn, and grow as they live their lives together post cancer. 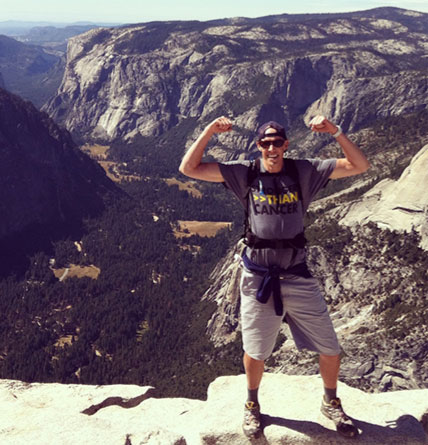 First Descents is an adventure camp for young adult cancer survivors. (Young adult is defined by the camp as ages 18 – 39). Camps are held multiple times throughout the year in locations across the country. Each week-long camp teaches one sport, such as kayaking, climbing, surfing, etc. The camp is FREE to participants (including meals, lodging and activities). Travel assistance is readily available. Programs ensure individualized care, medical attention and intimate experiences with fellow survivors. First Descents programs are offered free of cost to participants. Harmony Hill Cancer Retreats offer free three-day weekend retreats (one-day mini-retreats also offered) that help those facing cancer and their loved ones cope with the physical, emotional, and spiritual challenges of cancer. Through stress reduction skills, guided meditation, daily support groups for learning and sharing, yoga, and massage, participants facilitate their own healing and restore quality of life. 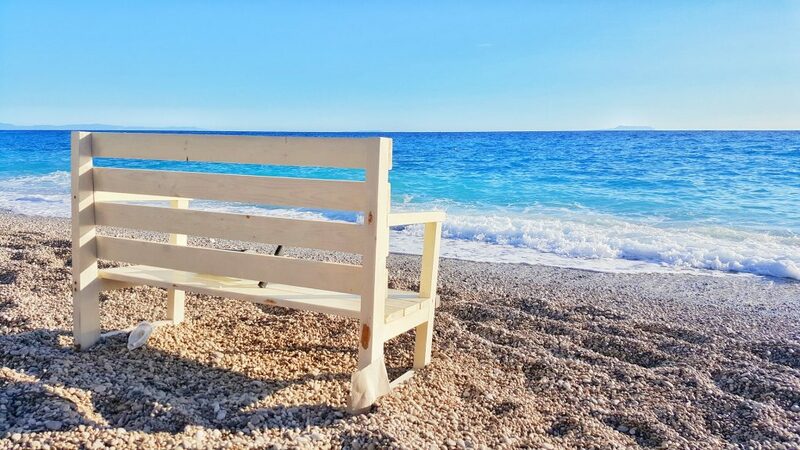 Includes whole-foods meals and opportunities for relaxation and renewal in a tranquil retreat environment of gardens, nature trails, beach access, and spectacular mountain and water views. All programs are free for the person with the diagnosis and the individual he or she wishes to attend and include meals and lodging. In Union, Washington. Kokoulu Farm and Cancer Retreat is an organic farm in Hawaii that hosts group retreats for men and women cancer survivors throughout the year. The six-day, five-night retreat includes in-depth workshops designed to help participants take control of their healing journey and diagnosis, plus lodging and meals. Free yourself from the stress and pulls of daily life. Come experience a slow return of energy and vitality as you focus on your diet, gentle exercise, relaxation and self-awareness; detoxify from stress from the environment and from the side effects of medical treatments. All of our researched based concepts and techniques are designed for you to take home with you and apply to your life and your healing.The cost is $2,700 and scholarships are available. Little Pink Houses of Hope provide free week-long vacations for women and men breast cancer patients and their families. Every retreat is designed to help families relax, reconnect and rejuvenate during the cancer journey. Creating hopeful experiences through fostering loving relationships in a non-judgmental environment. Multiple locations. Men’s Prostate Cancer Retreat enables those dealing with this debilitating disease, and their significant others to network, to exchange ideas and attend informational sessions together. This overnight program will feature world-renown urologists and specialists who will lead question and answer segments, as well as be a resource for participants. The Men’s Prostate Cancer Retreat will also feature outdoor activities like fishing, boating, canoeing, and allow for participants to get to know one another beyond their diagnosis. Reeling and Healing Midwest offers weekend fly fishing retreats several times per year for women patients/survivors of all types of cancer.The sport of fly fishing has endured for thousands of years. Its therapeutic powers are renowned and have been well documented. Cancer has yet to be eradicated. Its destruction to the human spirit is unique to each individual affected, yet understood by all who walk the path to overcome the disease. When the human spirit, combined with courage and faith to overcome cancer, connects with a river and the chance to fly fish, well, magic just seems to happen. How do we know that? Many years of experiencing the magic at Reeling and Healing Midwest’s retreat programs shows this to be true. Each individual who participates in the Reeling & Healing Midwest Retreat Programs is touched in a way that renews their spirit, their joy, their hope and their view of life. Send It Foundation creates outdoor adventures for young adult cancer fighters and survivors, removing them from their cancer experience and creating the space to play, sweat, connect and have fun outdoors. Send It programs are multi-day adventures in Lake Tahoe and the San Francisco Bay Area, and are designed around activities such as biking, skiing, and surfing. All food, lodging, gear and activities are included, and free of charge for participants. Send It creates a unique and intimate experience, weaving together adrenaline-filled adventure, family-style meals, yoga, fireside storytelling, belly laughs, and meaningful connection over the course of a long weekend. Send It brings the camaraderie built on the trail and the chairlift into the day-to-day, reminding fighters to live for today and to Send It. If you or someone you know would benefit from a Send It adventure, please contact us! We provide life-changing adventures for young adults (ages 21-40) battling cancer, free of charge. This past spring and summer, Send It has been exploring the California coast on two incredible adventures with 15 cancer warriors. In May, 8 participants surfed the waves of Stinson Beach and mountain-biked the trails of Mount Tamalpais. 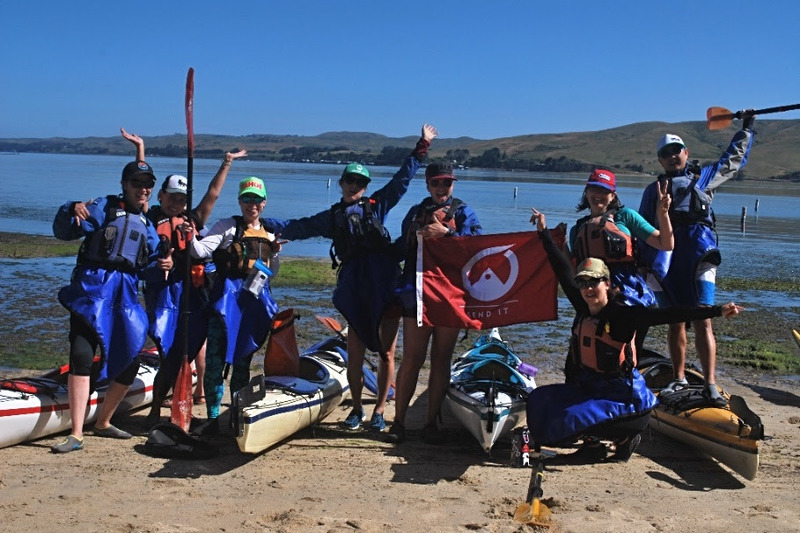 Earlier in June, 7 participants kayaked Tomales Bay, beach camped, and hiked the Point Reyes seashore. Catching a wave for the first time, riding single track through the Redwoods, and cheering each other on in these endeavors encourages and empowers participants at a time when it is needed most. The experience of adventure and connecting with a community of peers brings strength, courage, and positivity to the cancer fight. For over 47 years, the Simonton Cancer Center has been a leader in the scientifically proven mind-body approach for treating cancer patients. The Center’s integrated program was the first of its kind in the world, and was pioneered by the physician most often considered the “father of mind-body medicine” for radiation oncology, O.Carl Simonton, MD. At the heart of the Center’s mission is the world-renown “Getting Well Again” Program, a five-day retreat based on Dr. Simonton’s successful model for emotional and stress intervention, patient education, and support. The program is based on the successful model for emotional intervention and support which Dr. Simonton pioneered in the treatment of cancer patients. It evolved from the concept that beliefs, emotions, attitudes, stress and lifestyles are important factors influencing health. When illness occurs, these factors also influence one’s response to medical treatment and help to determine the effectiveness of the treatment as well as the level of confidence in your medical team. The format is a 5 1/2 day educational and psycho-therapeutic session for cancer patients and their support person. The practitioners use a modified cognitive-based approach, as well as other modalities, in a safe and supportive environment conducive to learning and positive change. The work consists of a format that includes lectures, small group work and individual sessions based on need. Occasional evening programs are provided throughout the week. We have added a 2-4 day private sessions that take place in the Los Angles area. The format and subject matter remain the same, however a 2-day program focuses specifically on areas the participant needs immediate help – such as preparing for events such as chemotherapy or surgery that will be happen in the very near future. ​Private sessions are held with 1-2 staff members and are for 1 couple or a single individual.Sessions are held in Malibu, CA.Room and Board is not included. For more information, please call 800 459 3424 or 818 879 7904. If you feel that either of these programs would be beneficial to you, your family, or someone you know, please explore our website to learn more. Contact our Admissions Coordinator (1-800-459-3424) who will provide you with more detailed information and assistance with arrangements. You may also ​click here to visit our page of Frequently Asked Questions. Smith Center Cancer Help Program is a retreat just outside of Washington, DC, for men and women cancer survivors and their caregivers. Smith Center is the East Coast branch of Commonweal and offers similar programming as the Commonweal Cancer Help Program (see description above). Our programs focus on cultivating each person’s innate ability to heal, helping participants explore meaning and maintain hope—even in the face of life’s challenges.Smith Center offers week-long, weekend, and day-long retreats for male and female cancer survivors throughout the year. Generous scholarships available. Stowe Weekend of Hope was founded in 2001 and continues to be an outreach three-day weekend retreat experience for hundreds of cancer survivors and their families in the restorative environment of Stowe, Vermont. Since its inception, this event has grown locally and nationally to continue to inspire the search for new and innovative research and education in both traditional and non-traditional cancer treatments and therapies. This forum promotes real educational opportunities for cancer patients and presents the most current medical research in all areas of cancer treatments. Strength for Life is for men and women with all types of cancers. They are invited to participate in exercise classes and lectures aimed at helping survivors balance their lives emotionally, spiritually and physically. Typically, retreats include guest speakers and a variety of hands-on classes such as tai chi, zumba, yoga, and strength training. The overall purpose is to educate survivors about alternative modalities. Weekend retreats are offered several times a year in a New York hotel. FREE (meals, classes, and overnight accommodations are covered). Windriver Retreats are in the woods of western North Carolina. They are for men and women dealing with all types of cancer to focus on their healing and learn new tools to reduce their stress. 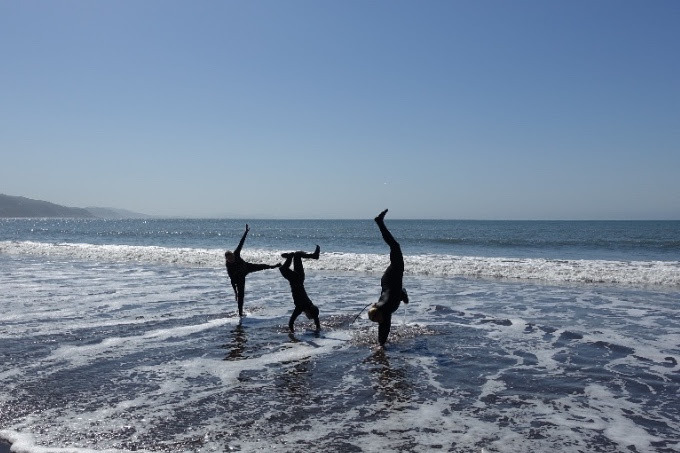 Emphasis is on being physically active and playful, having creative time connecting with others, healthy eating, AND quality time in Nature. Camp Wieser is a chance for a family with an adult battling cancer to rediscover joy, celebrate life, and create memories. It is a safe refuge, with no demands or expectations, an ideal setting for adult cancer patients and their families to disconnect from the seriousness of the illness and have some serious fun. During this annual weekend getaway in the Santa Cruz mountains of Northern California, adult cancer patients and their families can choose to participate in as many or as few of the services or activities lead by our supportive and caring Me-One volunteers. For the adult cancer patient, it’s an escape from the blizzard of dealing with their disease. For the youngsters and other family and supporters, it’s a well-needed (and often postponed) vacation filled with fun. And it’s all free for the cancer warrior and their family and friends. Families create lasting memories at Camp Wieser. These special moments at the retreat are captured by professional photographers, both in video and still photos. Families cherish having these keepsakes of their time together. Little Pink Houses of Hope provide free week-long vacations for women and men breast cancer patients and their families. Every retreat is designed to help families relax, reconnect and rejuvenate during the cancer journey. Creating hopeful experiences through fostering loving relationships in a non-judgmental environment. Is there anything around Minnesota or Iowa for free or low cost for Cancer Survivors? I haven’t received any requests from practitioners yet BUT I will do research tomorrow to find you some possibilities. What city do you live in? and what is nearby?